We have been counted amongst the most trusted names in this domain, engaged in providing Erection Service. 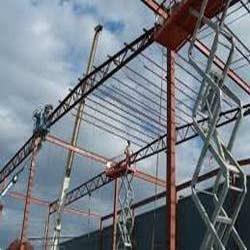 Best quality of Equipment Erection Service is provided by us to customers as per their requirements. Being a leading service provider, we are rendering Elevator Erection Service to our clients. Our services are well liked for their timely execution. Our professionals render these services within a preset time frame. With huge clientele assistance and industrial understanding, we are engaged in offering Multi storied Chemical Plants Erection Service, Rendered beneath the supervision of highly able executives, these are largely commended all over the country. Moreover, our ability to alter them as per our patrons’ demands makes these highly well-liked. - Erection, Commissioning & revising of Static Equipment. 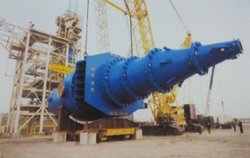 - Erection, Commissioning & revising of Rotary Equipment. - Erection & Commissioning of Misc. Mechanical Equipment like turbo generators, condensers, compressors, heat exchangers & pumps etc. In order to keep pace with never ending demands of the customers, our company is instrumental in executing Hydraulic Equipment Erection Service. Erection & Alignment of Rotary, Static Equipment of various types & Capacity with related piping accessories. Indfab Projects undertakes equipment erection jobs for Aluminium Smelter Plants and Power plants. We have extensive experience in erection of equipments for Aluminium Smelter Plants.